Cupcake Photography is an online-based platform dedicated to photography, run by Julia Gat. Cupcake organises exhibitions, workshops and carefully curated blog posts about a variety of photographers around the main thematics of Julia's work. The posts are published weekly and present emerging as well as established photographers. Photography workshops organised by julia gat and held in the South of France, open for beginning and advanced amateurs. Through a day walk around the beaches of Marseilles, the workshops focus on the relationship between the city and the sea. Family Business is a group exhibition curated by Julia Gat and presenting a variety of international photographers who’s work documents the context of family life. Whether it is about children, parents, siblings or communities; Family Business explores the complexities of the subtle relationships visible in the everyday family dynamics. 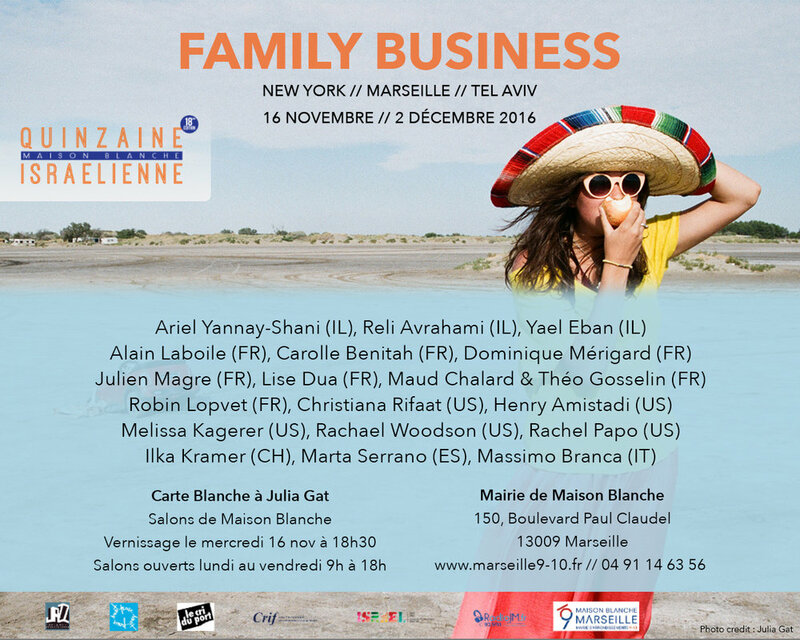 After being shown in Marseilles at the LOOK&LISTEN Gallery (November 2015) and in New York as part of the art festival Exchange Rates (October 2016), the last edition at the Quinzaine Israélienne-Maison Blanche, Marseilles (November 2016) focuses on Israeli, French and American photographers.